In construction and craftsmanship, the finish makes all the difference. Working with wood, metal or plastic, whether industrially or in home DIY, requires great skill but also requires the tools to produce a fine, professional finish. With a professional burnishing machine, you can get the finish your project requires without the tiring work of hand-sanding or otherwise manually finishing the surface. Providing quality finishes, these burnishing machines ensure the best possible look and functionality for the finished item. Developed and produced by MSW, these burnishing machines are built to the highest possible standards of industrial craftsman’s equipment, ensuring a product that will produce great results long-term. These tools are a popular choice in our catalogue, offering a wide spectrum of possibility for using them in different ways and with different materials. The broad choice of different attachments means that you can achieve many different finishes: some visually appealing, some practical, many both the former and the latter. From a satin sheen to a matt finish, a polished shine to a smooth ground surface, a burnishing machine creates a consistent look with little effort on your part. Our burnishing machines are suited for both woodwork, metalwork and construction using plastics. If you are a professional or hobby welder, a burnisher is extremely useful to grind down the burrs and ridges created by the joins in welding, remove the rough finish caused by a fillet weld grinder, or simply provide the metal surfaces with an appealing finish, particularly useful when creating something like furniture, where the aesthetics are an important aspect of the product. When working with wood, a burnishing machine is more easily manipulable than a disc sander and offers a pleasant, smooth finish, saving you the effort of hand-sanding or using a larger, more cumbersome machine. The polishing wheels are useful for both metals and plastics, helping to remove roughness and produce an appealing shine (please note: for stone work, our specialised stone polisher provides the polishing power required for a much harder material). This extremely versatile power tool has a place in almost any industry involving construction or craftsmanship, whether you’re building car chassis, wooden playhouses, acrylic sculptures, and so on! This is an ideal tool either for adding the finishing touches at the end of a project or for cleaning up the marks left by other power tools such as saws or rotary hammers as a product is being constructed. The 900 watt motor is powerful and built to perform even with heavy use, meaning you can rely on consistent, fast results. With the variable speed control, offering 6 different speed programs and speed settings between 900 and 2800 rpm, the effect you create is entirely up to you and how you choose to use the machine. Nylon grinding wheels are included with the delivery of the burnishing machine, but you can choose from a large variety of different sanding mops, grinding attachments, wire brushes and more, each offering a different finish and different specialities for different materials and use cases. Like all the appliances in expondo’s catalogue of tools, these burnishing machines have also been designed with ergonomics in mind: the extra grip and light-weight build means that you can use this tool comfortably and safely, even for many hours. 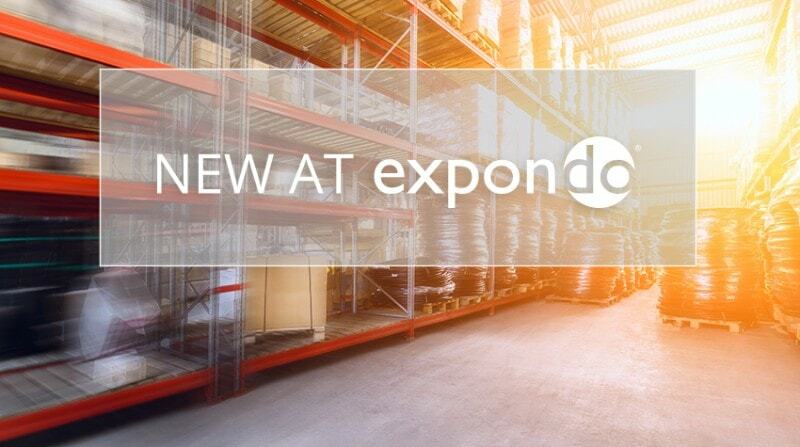 The excellent quality and robust build of all our tools and appliances is what makes expondo a leading provider of industrial and catering equipment across Europe. In construction and craftsmanship, the finish makes all the difference. Working with wood, metal or plastic, whether industrially or in home DIY, requires great skill but also requires the tools to produce a fine, professional finish. With a professional burnishing machine, you can get the finish your project requires without the tiring work of hand-sanding or otherwise manually finishing the surface. Providing quality finishes, these burnishing machines ensure the best possible look and functionality for the finished item.